What job profiles are available for a Mass Communication graduate? RE: What job profiles are available for a Mass Communication graduate? In today’s world, fast growth in the communication world can be seen because our lives surround around technology. Those days are gone when we used to get just shorts news reports for just the sake of news. It has become more of a moral duty to bring the truth in public rather than just stating minimum facts. This is sudden growth has impacted the audience also, people are more involved in the country politics, they remain updated with the facts which are the current need of the era. Wherever you go, group discussions or interviews only and only comprise of the current affairs. Also, with the demands of television sets, the everyday growing number of the news channel and radio stations the growth is unmatched as compared to other sectors.In all, people opting this as a career have a bright career. Read Also : How effective is Mass Communication as a professional course? Before the invention of televisions, only newspaper and magazines were the medium of journalism. So, with new inventions came new job opportunities. Journalism as to most of the people is not confined to just reporting news and being a news anchor on the news channel it comprises of more, there are job options in the newspaper department, the radio department, magazine, online media. Everywhere, in the end, the main motive is to give the audience correct and detailed information about the events happening in the world. So, a Bachelor’s degree and good command over the language can open up many opportunities in the field of Journalism but also do a postgraduate diploma will help you in experience and would help in raising your pay. Mass Communication is about providing information to people without any purport. In this, more emphasis is put on the information and the news. It comprises of how much creativeness can one pull off from within and present it in an eye-catchy form. 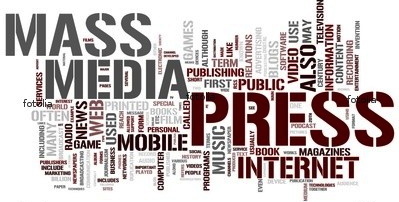 Journalism comprises of more reporting for the news channel, newspaper, and magazines. Mass Communication is a wide-range program which includes graphics, films, advertising, online media, television etc. Graduation: A student passing the 10+2 Examination with a minimum requirement of marks. Post-graduation: The minimum age for a postgraduate degree is 30 years + a graduation degree in any field. Some institutions also require work experience or internship work. Read Also : How should I plan my career once I have enrolled in Mass Communication? You’re well acquainted with the growth in this field, so don’t worry. Plenty of jobs are available. The main thing to be kept in mind is that this job requires passion, creative minds, fluency in the language, energy, and skill. It’s not like that once you have created your status, nobody can question you ever. Any day, anyone better in the field comes up, it’s always they who’ll be preferred. For a graduate of mass communication, the starting salary bar goes from INR 12K – INR 25K. But with the course of time like 5 years, the salary is doubled or tripled e.g. : INR 50K – INR 100K per month. Graduating from a well- esteemed college does have an extra point, usually, the packages are very high for these colleges as the faculty is top-notch which implies the students are well-educated and rightly taught for future. The students are given a healthy environment, which helps in their overall development, given more practical knowledge of the course helps them work efficiently in the job. We hope, you have got the whole information about the jobs available in the field of mass communication, it’s about exchanging information to the masses. Hope, this article helps you make a wise decision. Career COUNSELLORS For - What job profiles are available for a Mass Communication graduate?